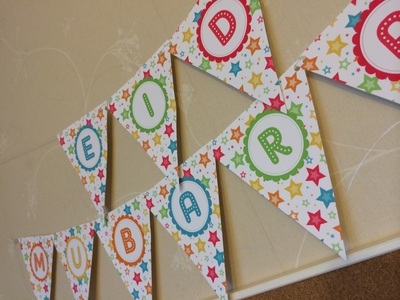 This is a banner with the text "EID MUBARAK". 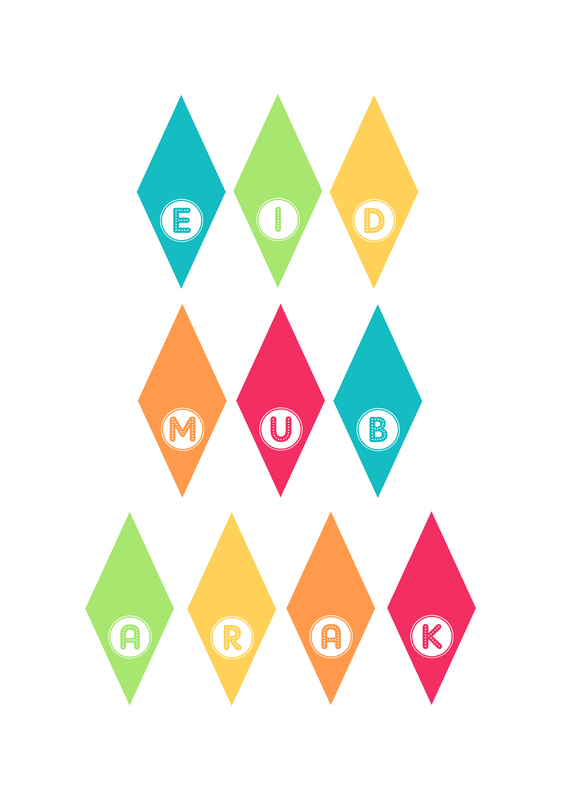 You can download it by clicking on the file right under this picture; there you'll find 5 PDF-files with all the letters on them. After printing all the pages (preferrably on thicker paper/photo paper if possible, but it's not a must) you'll have to cut out all the triangles with the letters. Cut right inside the dark outline of the triangles (the outline is not supposed to be a part of the triangle, it's just there to help with the cutting). 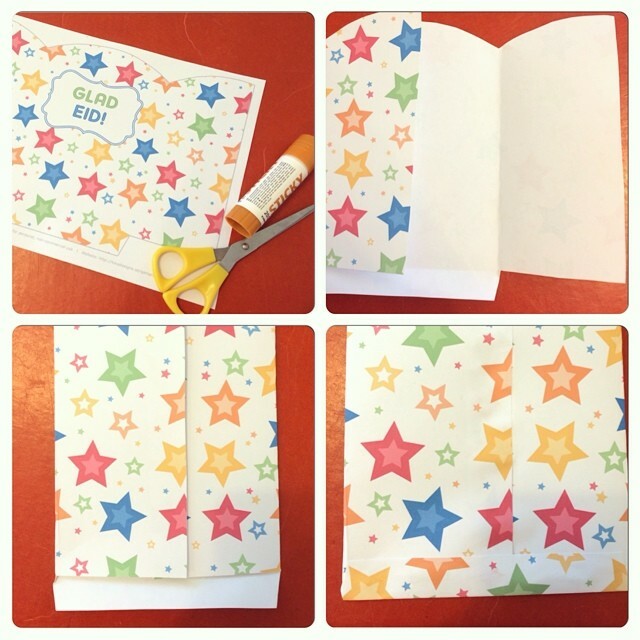 After that, you can make two holes at the top of the triangle with a hole punch. And then get some string or anything that might suit it and thread it through the holes, with the letters in the right order. 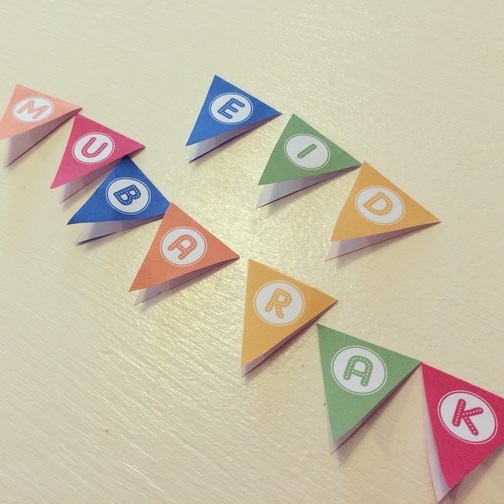 Small dessert flags that you can put in for example cakes, cupcakes or on drinking straws for Eid. 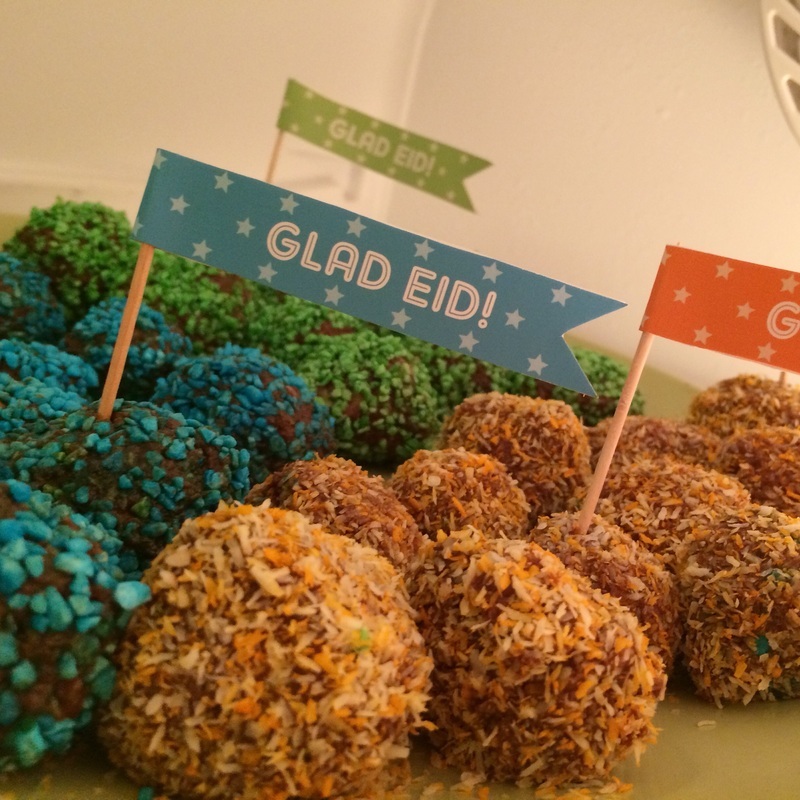 Unlike the pictures below, these have the text "HAPPY EID!" on them. 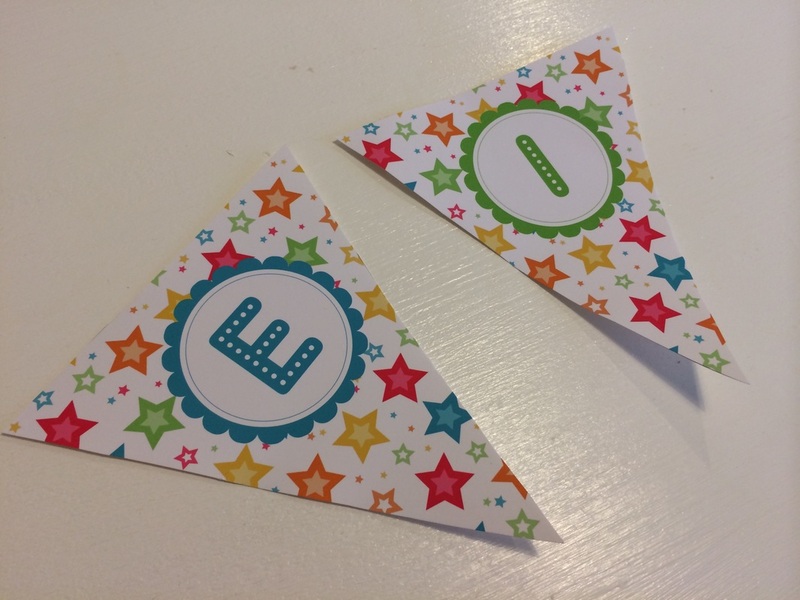 Instructions: Cut out the flags, fold in the middle and glue the flag on for example a small toothpick. 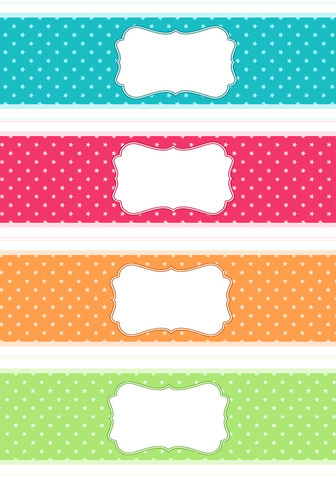 Tags for Eid gifts. You can write to who it's from and to who on the backside of the tag! 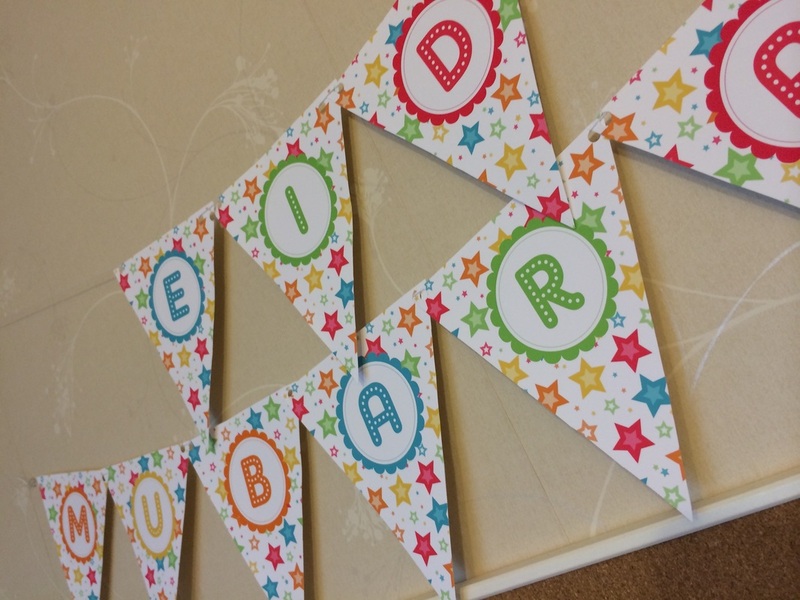 A miniature version of a Eid Mubarak-banner that can be used for example glued on thread between two toothpicks/sticks/straws and then put on top of a cake.